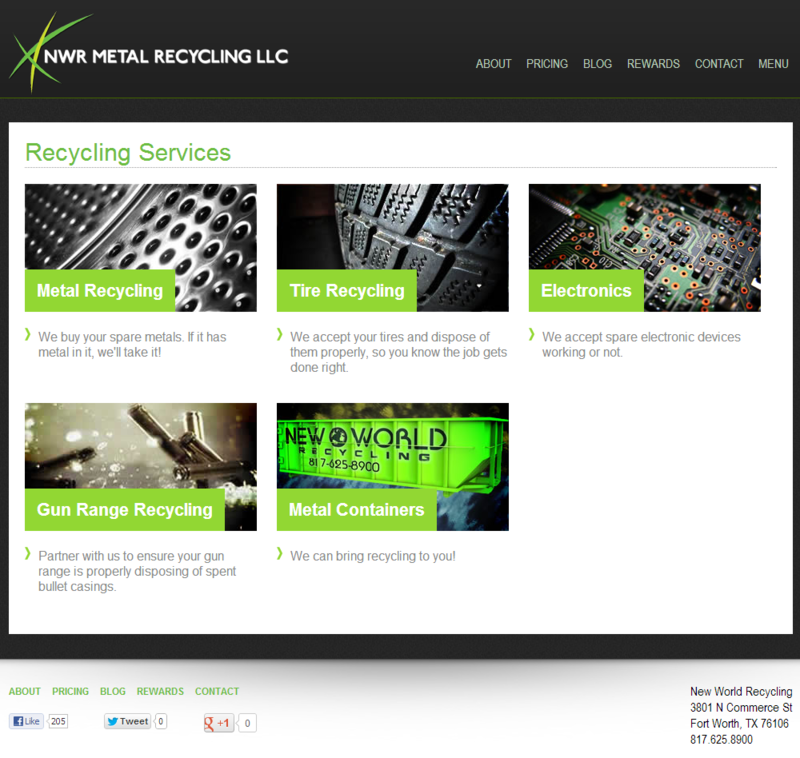 This Client contacted me in need of a website so they could increase their visibility and online presence. At the beginning, they only had a facebook page. with just a few hits. 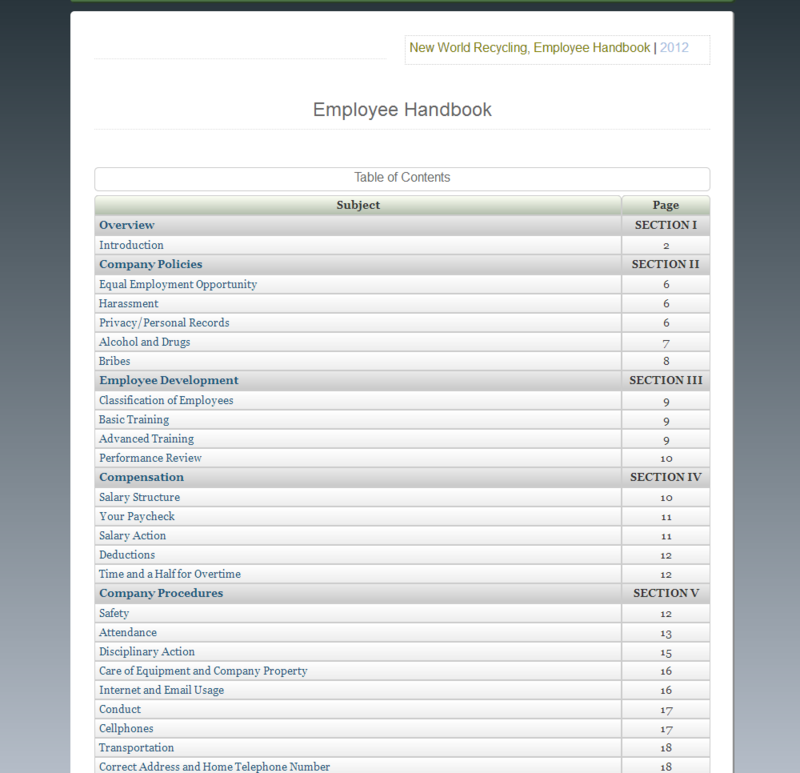 This project is to create a centralized resource for the employees to check for training, and information. It was designed to be easily updatable by someone who doesn't know any HTML coding by using a simple set of formatters, and a UI that is famiar to anyone who has used MS Word before. I also designed a ticketing, and response system using a dynamic category system. 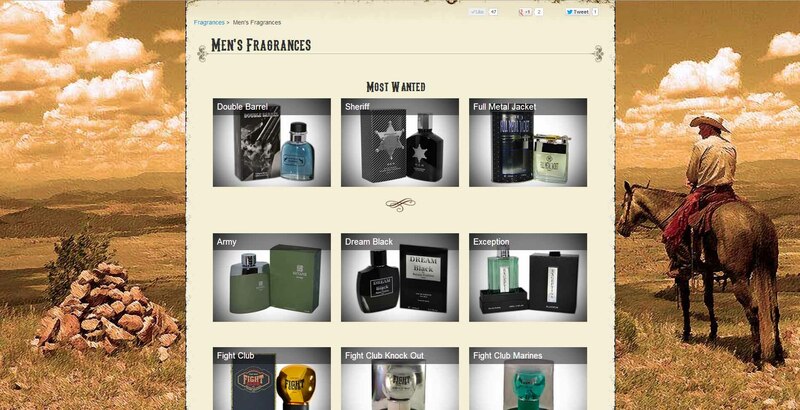 Through ajax managing the categories is simple and user friendly. - Work in progress, Website with a facelift. 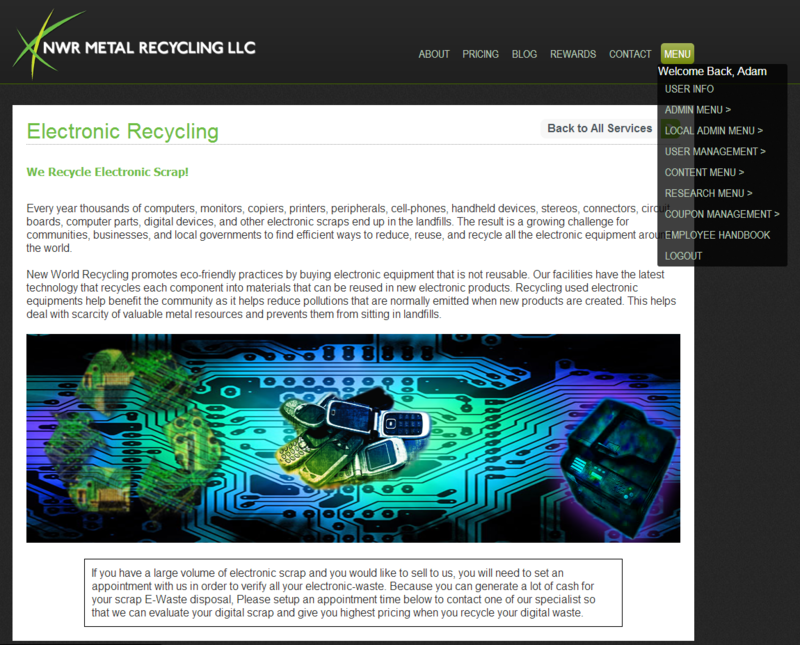 The previous website was rather inflexable when it came to the amount of content is would display, and had numerous links on the menu system. This needed to change. 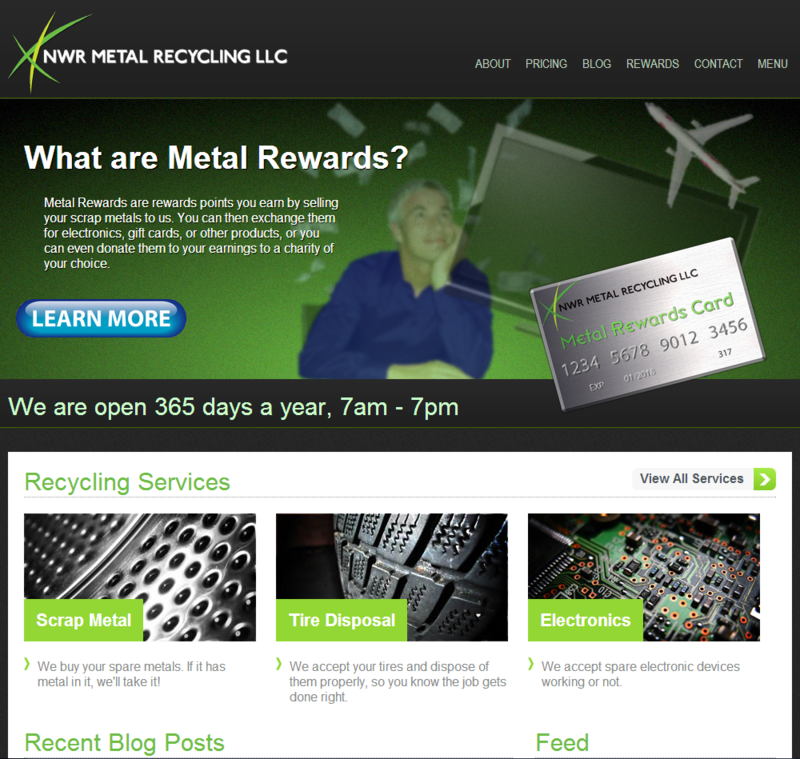 This redesign of the website shortened the website into a beautiful UI that is both easy to understand and navigate. 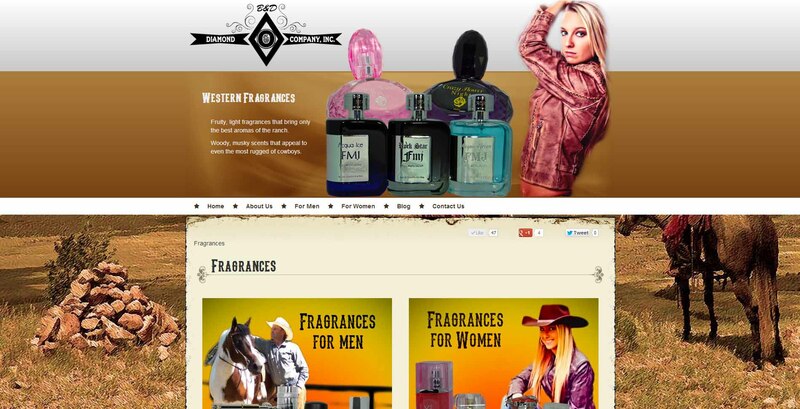 This project has turned into more of a CMS using CodeIgniter as the Framework rather than a website. 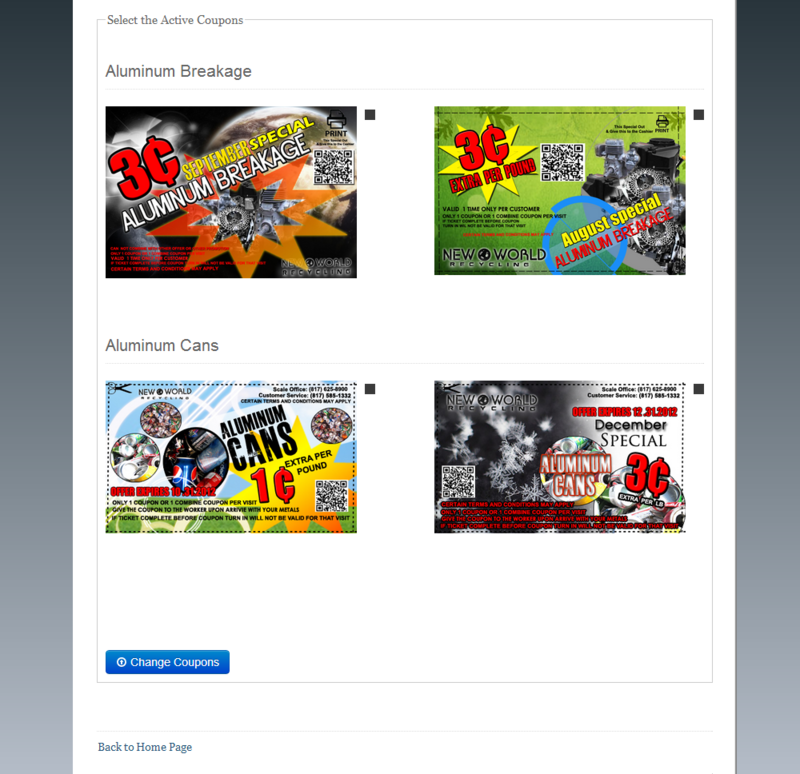 I have created a web app for creating coupons using already created backgrounds and prices. 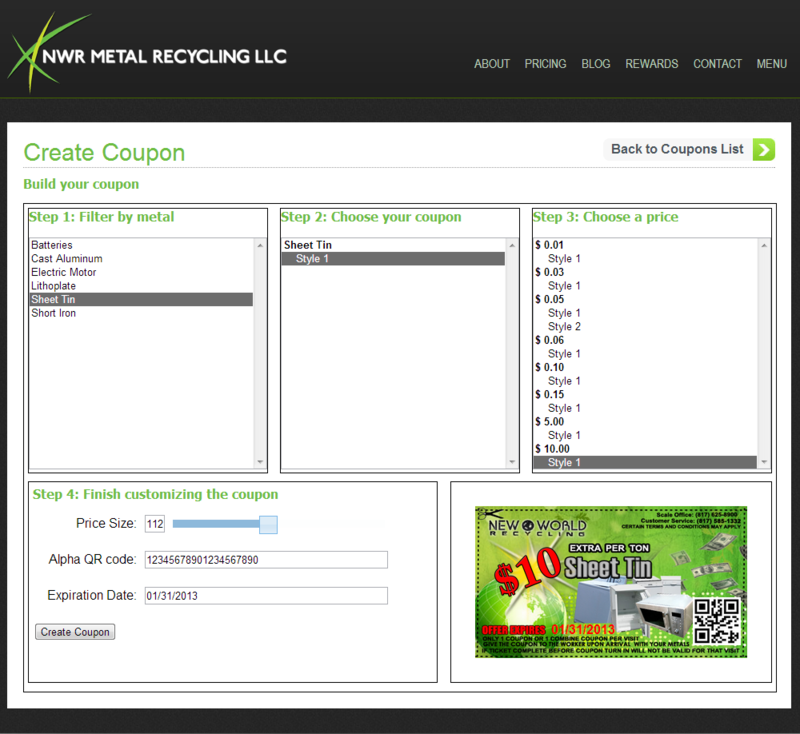 The layout is drag-and-drop for positioning of the price, QR code, and expiration date. 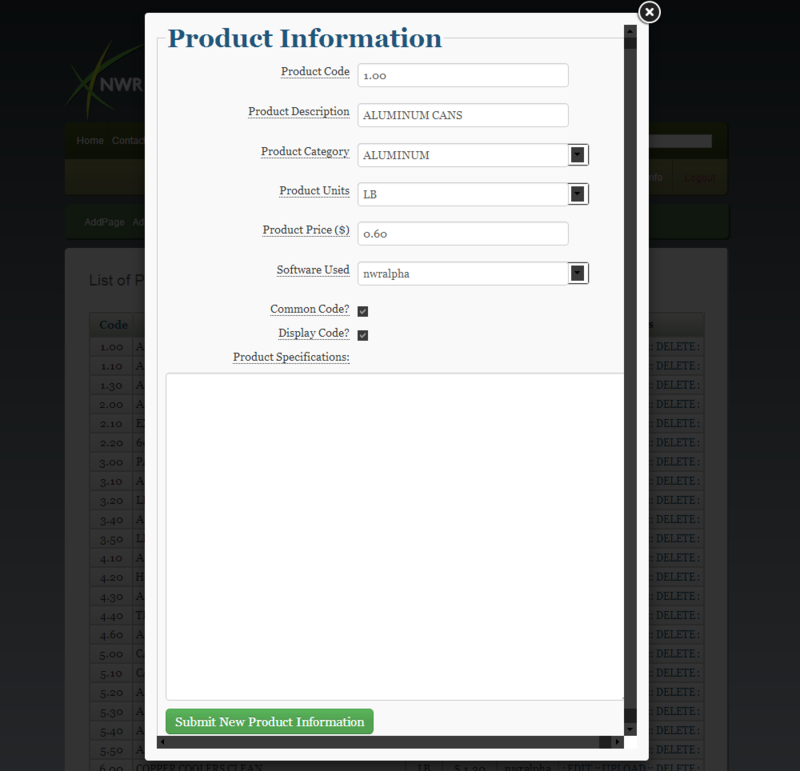 The user can also select which coupons from a library to display on the website. In the CodeIgniter framework, these features have been implemented for the website: User Authentication, User Groups (Both are from the Ion Auth plugin), User Hierarchy and hierarcical validation of user access, Employee Scheduling system, Ticketing System, Blogging System with WYSIWYG editor CKEditor, File Uploads. This is a small utility I created to manage the various surveys and survey information. 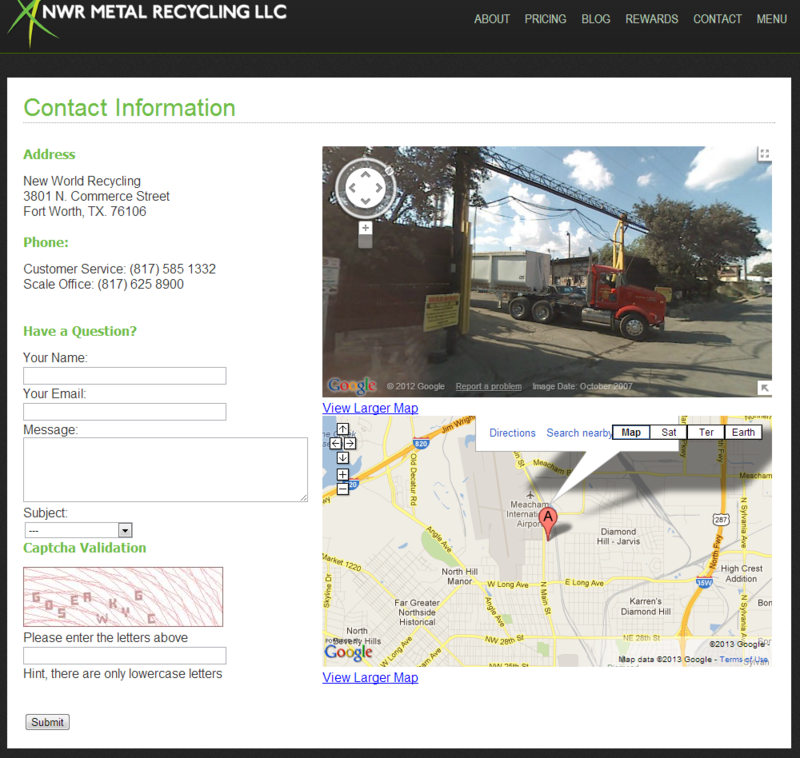 The home page is the manager portal, where the Location Survey Home is where the customer would see at the home page. The utility was designed to allow the customers to take a survey, whether is was at an event, in our office, or on the web. Surveys would be designed, and the questions would be created in MySQL, using the comment section for what the survey question is. 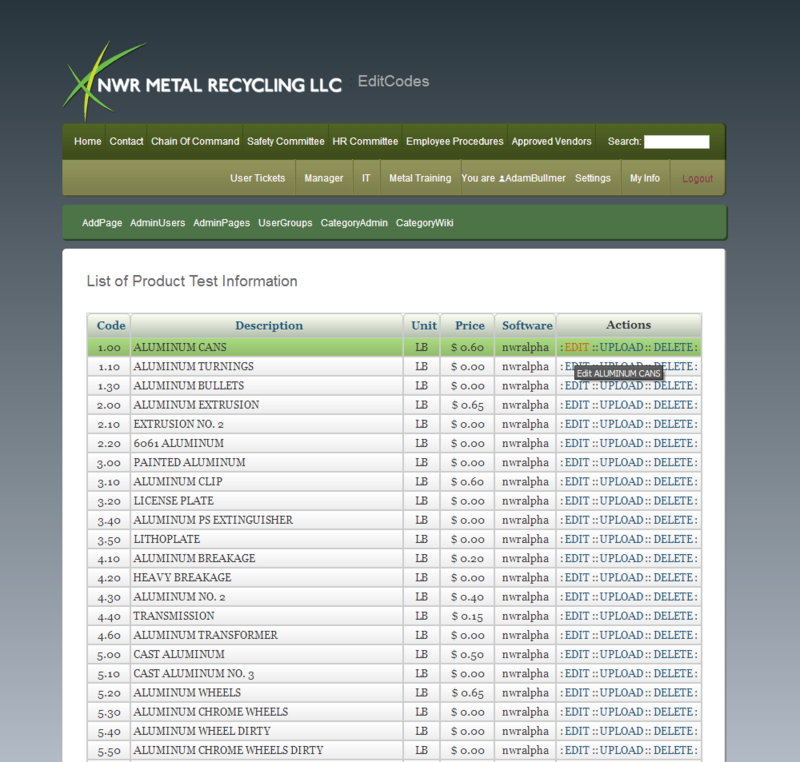 The manager section allows easy review of the survey data, as well as exporting the information for review. 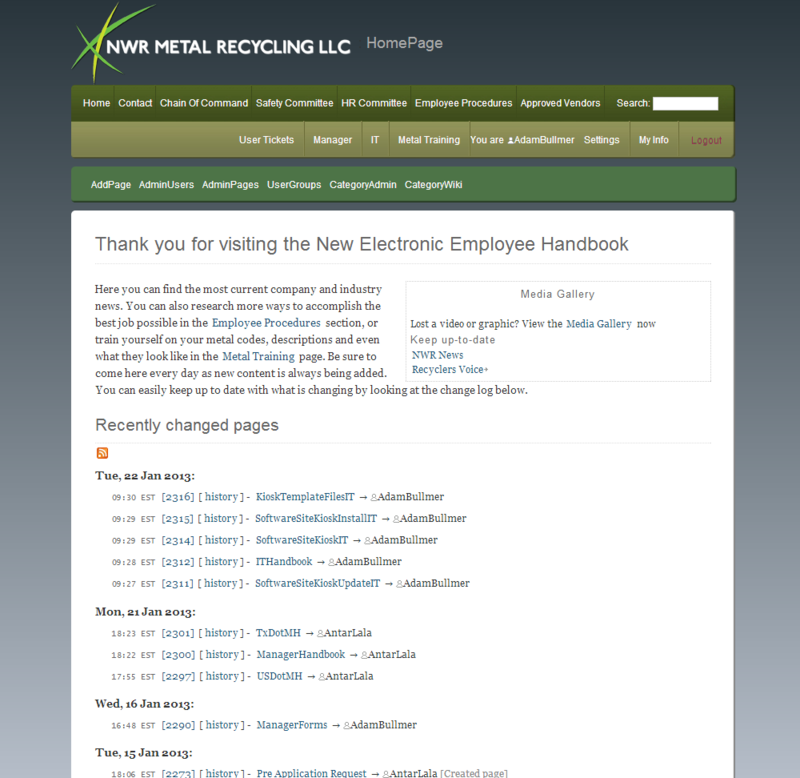 This was a project to create a centralized employee information source. 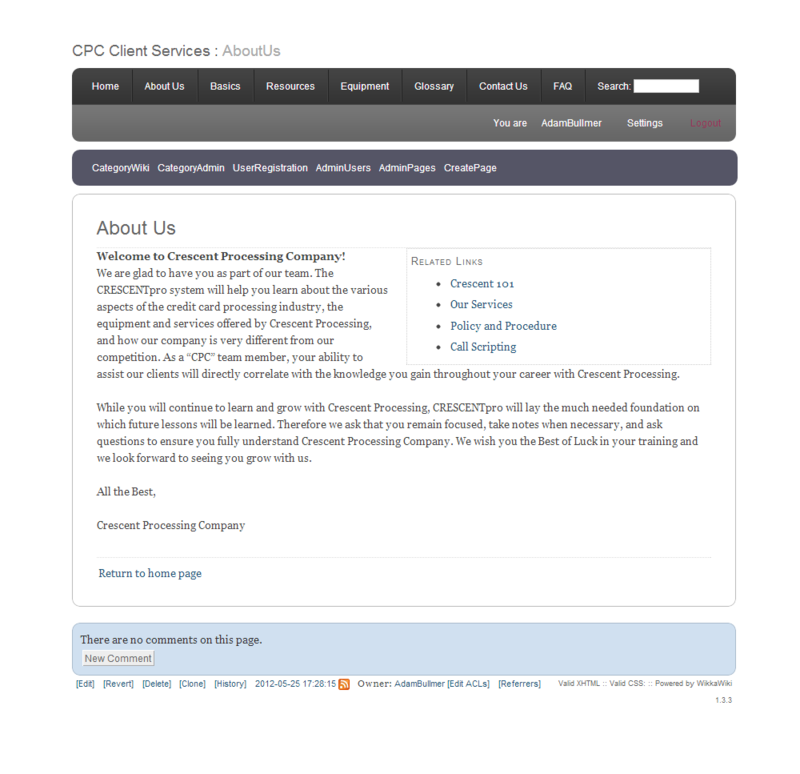 The employees were recieving all of their updates by word of mouth, and I made the suggestion to create something that gave accurate information to every person who visited the page. 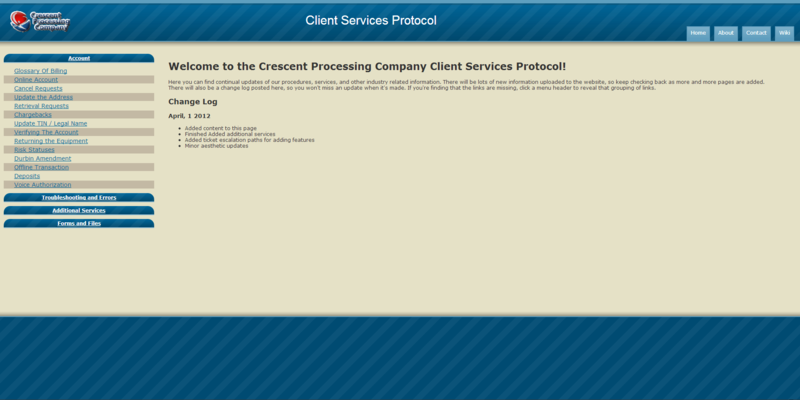 Created small web application for Troubleshooting Decision Flows. User will select the appropriate option base on the phone call, and the decision flow will give the next step in proper and complete troubleshooting. This is showcased, although incomplete information on the decision flow process has been supplied for demo purposes, in Troubleshooting and Errors > Settlement -OR- Transaction Failed. Transaction failed is the original decision flow, and Settlement is the revamped version of selection.